B.A. (Carleton), M.A., LL.B. (Toronto), Q.C., of the Ontario Bar. J. Patrick Boyer is the president of Blue Butterfly Books, an independent Canadian fiction and non-fiction publisher. He has written numerous books on law and public policy, and has also served on the national council of The Writers’ Union of Canada. Mr. Boyer has worked as an adjunct professor in the Department of Political Science at University of Guelph, teaching courses in politics, ethics, democracy, and accountability in Canadian government. In addition to his writing and teaching, Mr. Boyer has worked as a journalist in Ontario, Saskatchewan, and Quebec, and as a lawyer in Toronto, specializing in communications and electoral law. 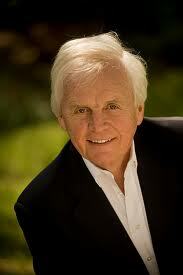 He entered Parliament as a Progressive Conservative MP for Lakeshore Etobicoke in 1984 and 1988. He also served as parliamentary secretary at External Affairs and at National Defence. Mr. Boyer is also involved in a variety of public policy organizations. He is the past president of the Couchiching Institute on Public Affairs and the past chairman of the Pugwash Thinkers’ Lodge in Nova Scotia. He is also a member of the National Advisory Board of Fair Vote Canada. Mr. Boyer can be reached at patrickboyer@sympatico.ca. 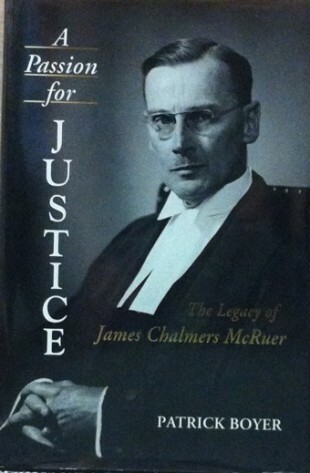 A Passion For Justice: The Legacy Of James Chalmers McRuer (Toronto: The Osgoode Society and University of Toronto Press, 1994), 436 pp. Raw Life: Cameos of 1890s Justice from a Magistrate’s Bench Book (Toronto: Dundurn Press, 2012), forthcoming. The People’s Mandate: Referendums and a More Democratic Canada (Toronto: Dundurn Press, 1991), 264 pp. Direct Democracy in Canada: The History and Future of Referendums (Toronto: Dundurn Press, 1992), 302 pp. Lawmaking by the People: Referendums and Plebiscites in Canada (Toronto: Butterworths, 1982), 304 pp.